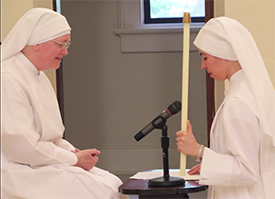 A vocation to the Little Sisters of the Poor is a unique call from God to live for him alone. 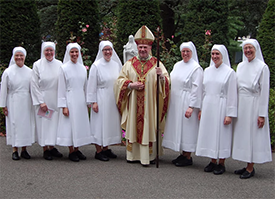 As Little Sisters of the Poor, we serve and care for the elderly poor in the spirit of humble service which we have received from Saint Jeanne Jugan. We welcome the elderly as we would Jesus Christ himself and serve them with love and respect until God calls them to himself. “Be kind, especially to the infirm. Love them well…Oh yes! Be kind,” Saint Jeanne Jugan often advised the novices. We strive to follow this advice of our foundress in all our dealings with the elderly.